There are many aspects of the Marble Retreat intensive counseling experience that bring healing to the souls, hearts, and minds of the pastors, missionaries, and other Christian leaders who come. 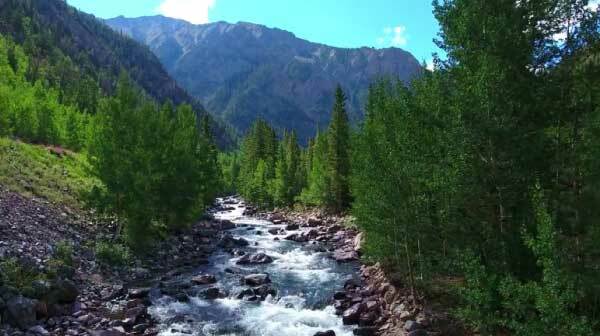 One feature is the incredible beauty of God’s creation surrounding the Retreat – the Colorado Rockies. For some, it is the quiet of nature that begins to still their hearts and minds and they can hear God and themselves again. For others, it is the beauty of nature reminding them that there is good in this world and things to enjoy. For some, a facet of nature becomes a metaphor for the current place they find themselves or for what they need – a mountain to climb, the white snow of grace, the rains or waterfalls of grief. For many who come, in one way or another, they have lost sight that God is actually big enough to handle and heal what they are going through. This is normal. When you have prayed a thousand prayers and it doesn’t seem like God is answering, when you have beat your head against a wall continuously looking for a solution or way out of your pain until you are confused and numb, when you have been betrayed by the church or others close to you, when life didn’t turn out in ministry and family as anticipated, then it can be normal to wonder if God cares, hears, and is really in control of what seems like a mess. It can be very difficult to find peace and relax knowing, really knowing, that God is control. For many who come to Marble Retreat, the mountains, the waterfalls, the rivers, and trees remind them of God’s eternal power and His divine nature giving them a sense of peace that even in their distress God is there, He is good, and He is in control. To get a taste of God’s creation here in Colorado please check out this incredible video by David Leiter on vimeo. Much thanks to David for giving us permission to use it.